Around the middle of the seventeenth century in the "Collegio dei Dottori" of Urbino, which raised to the status of University in 1671, lectures of Mathematics and Physics were already performed. In that period the "Pubblico studio" had its maximum splendour. The noble families of the town managed to turn it into a University by increasing the number of lectures. The first Mathematics professorship was set up in 1638 and was held by Muzio Oddi who unfortunately died a year later. The Law lectures, which up to then had been held in the Town Hall (the seat of the Collegio dei Dottori), and the Theology and Philosophy lectures (which had been held in St. Francis' Convent) were joined together and the "Pubblico Studio" could find its seat in some rooms of the Ducal Palace thanks to the permission given by the Apostolic Delegate. In 1654 Pompilio Bruno became Mathematics lecturer and held the post until 1665, whereas the first Physics lectures took place in 1659, even though the lecturer's name is not known (the first known Physics lecturer was Bonaventura Santini in 1698). Thanks to the Albani family of Urbino (five members of which would become Cardinals and one Pope: Clement XI ) the University of Urbino could develop and still be a point of reference - mainly scientifically- in the overall declining scenario of the 17th century. In the first half century the dukedom had still been an intense cultural activity, which was characterized by a noticeable interdisciplinary pattern. 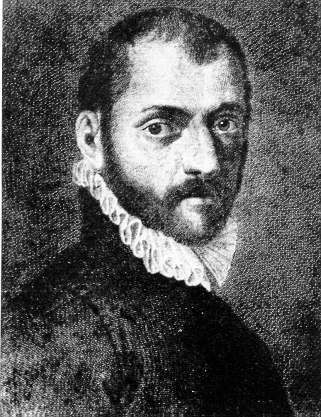 Typical examples were the philosopher Federico Bonaventura (1555-? ), the mathematician and theologian Lodovico Vincenzi (1564-1643), the mathematician Orazio dal Monte (Guidubaldo's son, 1575-1615), the astronomer Jacopo Micalori (1570-1645), the mathematicians Pier Matteo Giordani (1556- 1636) and his nephew Camillo Giordani (1586-1636) and the already mentioned Muzio Oddi. Evidence of this lively interdisciplinary pattern were for example the frequent epistolary exchanges when Galileo's "Sidereus Nuncius " was published (1610). Conversely, in the second half of the 17th century, such fervour quickly languished and then it totally faded. It must be noticed that in this period the famous Duke Federico's library was moved to Rome (1657) on the orders of Pope Alexander VII, to enrich the Vatican library; this fact might be considered as the clearest sign of a never-ending decline. Regarding the scientific activity, it was confined to the "Officina degli Strumenti" which would soon be called the "Accademia degli Strumenti". The "Officina" was experiencing a particular link with the academic world in that period: the Mathematics lecturers were often working in this eminent Officina, whereas the other lecturers were friars of St. Francis', St. Dominic's, and St. Girolamo's Convents. This situation remained unchanged throughout the 18th century (the "Age of Enlightenment", even though Urbino for its peripheral position did not take advantage of the "enlightened despotism" that had positive effects in other areas). This was a relatively calm period in which the Physics lectures were held by Fathers of the Scuole Pie (Piarists) who came to Urbino towards the end of the 17th century and who set up here the Collegio dei Nobili (1699), its seat was in front of the central square where -with the help of the Albani family- a building for them was quickly raised. 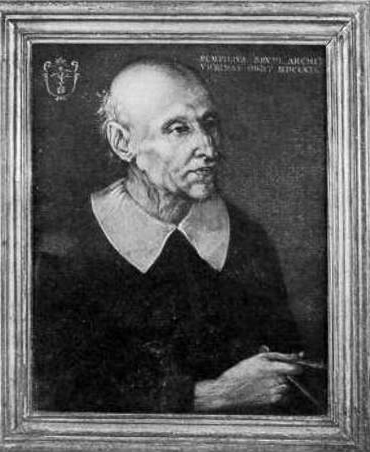 The Mathematics lecturers were mainly artisans of the Accademia degli Strumenti (the new name of the Officina), among them there was Annibale Luciani, who held the post almost continuously between 1705 and 1744. The intense technical and scientific activity of that time - together with a healthy trade impetus - was the main feature of this period. Good examples were Domenico Antonio Nini (1688-1762) and his sons Giovanni Battista, Giuseppe, Nicola, Francesco, Crescentino and Angelo who stood out pre-eminent in many fields of handicrafts. In particular the invention of devices of mechanical engineering by Domenico Antonio started up a small industry for the production of brass pins, which became then famous all over Europe and which was an important source of revenue for Urbino from the eighteenth century to the beginning of the nineteenth century. In the meantime an important educational institution was gaining strength: the "College of Nobles", which then played for two centuries a crucial role in the field of pre-university education and partly in the framework of the University itself. It was run by the Fathers of Scuole Pie (Piarists) in the seat mentioned before (except for a short period in which it was run by the Jesuits), which then was officially called "Palace of the Piarists". In this seat in the second half of the eighteenth century Physics experiments were performed for the first time: various documents referring to those activities show a good capability to improve or build instruments for the "Publica Academia" of Experimental Physics or to hold lectures of Mathematics and Natural Philosophy at the University. The complex links between scientific handicrafts and University, between University and Collegio dei Nobili, between Collegio dei Nobili and town institutions became increasingly evident. Those links are at the basis not only of the later education system in Urbino, but also of the development of the scientific structures in the University scenario that laid foundations for an acknowledged constitution of their own and for their good functioning in the framework of well-determined institutional tasks.